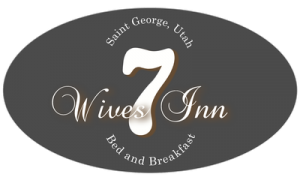 The Seven Wives Inn offers you the best location in all of Saint George, Utah. Located walking distance to Ancestor Square & Main street, where you'll find top rated restaurants, shops & historic charm. Only a mile away from the St. George Temple. Nestled in a beautiful historic community with tree lined streets & red rock views, the Inn consist of two grand Victorian homes on a well-groomed, green acre. Thirteen casually elegant rooms from standards to suites all with their own private bath, Dish Network & free Wi-Fi. Included with every stay is a superb breakfast served up fresh every morning, always homemade and always delicious.